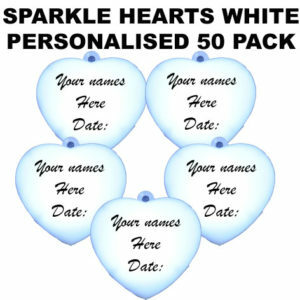 Have your name or names & or message custom printed on any color Sparkle Hearts. 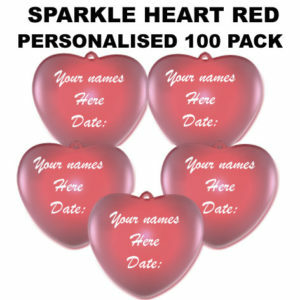 The minimum order is only 50 Hearts, you can choose different ink colours & they will be personalised for your special day. Weddings, birthdays, Valentines Day, any occasion & any message. 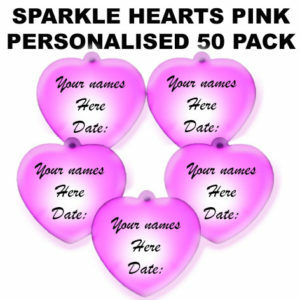 We can even add your logo to Sparkle Hearts, email us for more information. 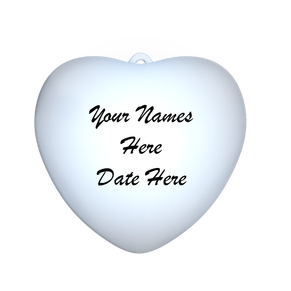 When you checkout – you will see a section where you can add a NOTE. 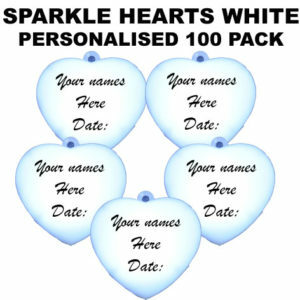 Please put what you would like printed on your Sparkle Heart.You are limited to 3 lines of text due to the small printable area of Sparkle Hearts. 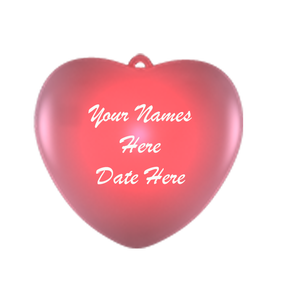 Lead time required is 14 days, No additional set up costs are payable. 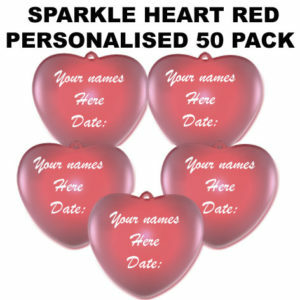 If the quantity you wish to buy is not here – email us and we will discuss your requirements.